No More Costly Location Shoots. 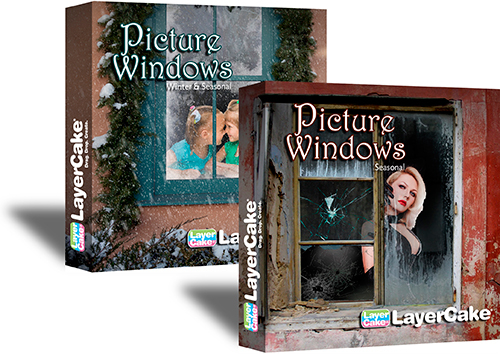 • Two PictureWindow collections in all with 55 total windows. 15 Winter & Holiday specific windows, plus 40 multi-seasonal. • PictureWindow locations include romantic European and East Coast cities plus dramatic decayed warehouses and ghost town windows. • A perfect companion for the StudioMagic Pro-Panel but you can work with PictureWindows independant of the panel. • StudioMagic I & II Compositing Plug-ins are PHOTOSHOP compatible ONLY. A complete photo studio, on your desktop! Change lighting, change combinations of floors and walls, change backdrops & scenery, even create new backdrops of your own! Studio shoots can be over-the-top expensive! Then there’s the cost of lighting, backdrops, assistants and lets not forget, the studio itself! With our new StudioMagic PhotoStudios, you can easily create the look of a high-end studio, lights and all, right on your desktop! Who are Photo Studios for? • For professional photographers, Photoshop artists and hobbyists. Creating a studio look without a studio! There is nothing else like them. Nothing!